The SkyTech CLS (City Light Suppression) filter is designed to improve the visibility of various deepsky objects by blocking light pollution, while allowing light from deepsky objects through. 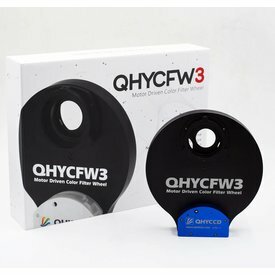 The SkyTech CLS-CCD (City Light Suppression) filter is designed to improve the visibility of various deepsky objects by blocking light pollution, while allowing light from deepsky objects through. 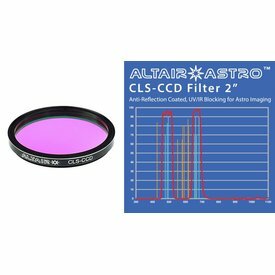 The Altair Astro Premium 2" CLS-CCD Filter is designed for imaging with DSLR, CCD or CMOS cameras however it can be used for visual observation with 6-8" aperture or larger telescopes. The SkyTech LPRO MAX filter is designed to improve the visibility of stars and deepsky objects, by blocking light pollution, while transmitting light from these objects. The Altair Astro Premium SHO-CCD filter set is designed for astro imaging with Mono CCD or CMOS cameras. 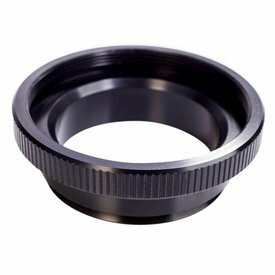 The Altair Astro Premium 1.25" CLS-CCD Filter is designed for imaging with DSLR, CCD or CMOS cameras however it can be used for visual observation with 6-8" aperture or larger telescopes. 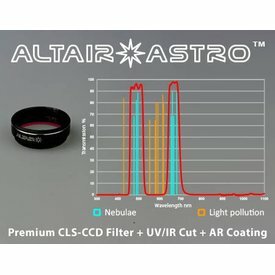 The Altair Astro Premium LRGB-CCD Filter is designed for imaging with Mono CCD or CMOS cameras. New ultra-thin stepper motor drive and fully automatic filter switching revolutionizes overall performance! 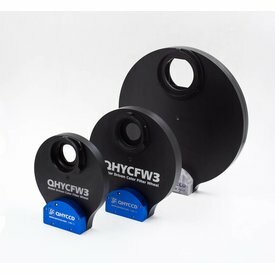 The SBIG FW8G-STXL is an 8-position self-guiding filter wheel for STXL series cameras. 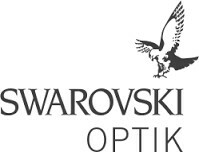 Clear, anti reflection coated optical window to fit Hypercam (colour or mono). 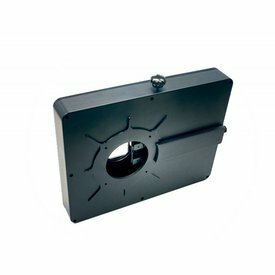 OAG Wide Adapter for 9.25"/ 11"/ 14"